Fully outsourced insurance tracking. We continually monitor your loans for your borrower's compliance to the physical damage insurance requirements set by you. Optional custom letter cycles with your letterhead in color. Secure Internet access to individual borrower data and management reports aids you in your collateral risk management. Automated insurer EDI of your borrower's insurance data. Specific & dedicated customer service representatives assigned to your account. Extended hours of customer service operation including Saturdays. Proactive calls to agents before borrower letter cycle begins. The broadest coverage in the market today ensures you will receive the best outcome when your borrower fails to provide their own coverage. Lender coverage's include, Automatic coverage, Actual Cash Waiver endorsement, Breech of Warranty, Excessive Deductible coverage, 50/50 Option and more. Automated debit/credit of premiums and payment rescheduling. 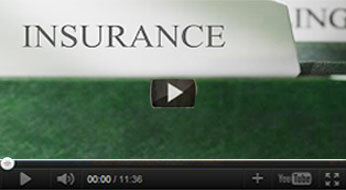 Eliminates the need to track your loans for insurance compliance. Per loan or monthly outstanding portfolio balance premiums. Variable deductibles enable premium appropriate for your institution and risk. Fully outsourced insurance tracking. We continually monitor your loans for your borrower's compliance to the hazard insurance requirements set by you. Custom letter cycles with your letterhead in color. Secure Internet access to individual borrower data and management reports aids you in your collateral risk management. Automated insurer EDI of your borrower's insurance data. Specific & dedicated customer service representatives assigned to your account. Extended hours of customer service operation including Saturdays. Proactive calls to agents before borrower letter cycle begins. The broadest coverage in the market today ensures you will receive the best outcome when your borrower fails to provide their own coverage. Limits up to $5,000,000.00. Even higher limits available on individual properties with underwriting. We work with you to design a custom blend of appropriate insurance products to achieve a balance of risk, cost and coverage's. 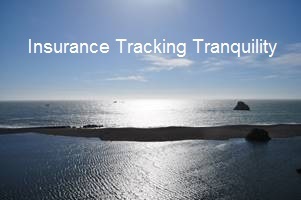 Powerful yet simple to use software for your in-house insurance tracking needs. Online or fax, Life of Loan or Basic flood zone determinations keep your financial institution in compliance with federal flood requirements. Fully outsourced insurance tracking. We continually monitor your loans for your borrower's compliance to the flood insurance requirements set by the federal government. Letter cycles with your letterhead in color comply with federal regulations. Secure Internet access to individual borrower data and management reports aids you in your collateral risk management. Automated insurer EDI of your borrower's insurance data. Specific & dedicated customer service representatives assigned to your account. Extended hours of customer service operation including Saturdays. Proactive calls to agents before borrower letter cycle begins. Forced placed when your borrower fails to provide the required flood coverage or Write Your Own Coverage's. Provides real estate tax information to mortgage related institutions throughout the United States. We offer Internet based online systems and data delivery solutions which are available for all processes including: automated escrow reporting and payment systems and delinquency data processing. Pays the difference between the borrower's insurance company settlement of ACV (actual cash value) and the loan balance on a total loss claim. GAP is a valuable coverage for your borrower, a revenue source for your institution and a key coverage for your loans minimizing charge offs due to an uncollectible GAP. An excellent product for your borrowers with income to your institution. MBI pays for repairs to your borrower's vehicle when a mechanical or electrical part fails or breaks, with exceptions for wear and tear, and maintenance items. Terms and mileage available to fit most drivers needs. Accidental Death & Dismemberment (AD&D) insurance is a direct-mail program providing $2,000 worth of coverage at no cost to the borrower. Coverage is available to all members 18 years and older, with the option of selecting additional coverage up to $250,000. Among the many benefits of this plan are: 24-hour coverage for accidents anywhere in the world, on or off the job - on business - on vacation - at home, Common Carrier - Double Indemnity, Hospital Confinement, Anti-Inflation, Spouse Education, Child Care Assistance, No age limits on Handicapped Dependents, Seat Belt - 50% additional coverage, Higher Education, Continuation Clause, Waiver of Premium. Term Life has become a valuable alternative for your borrowers. The need for life insurance is generally greater when the borrower is raising a family. Unfortunately, this is also the time when most often the borrower has less spendable income to provide the amount of coverage needed. Group term life can provide that protection at affordable rates.